3 ft. 7 ft. 10 ft. The 50' (15.2 m) Cat6 550MHz Snagless Patch Cable (Green) from Comprehensive is an Ethernet patch cable, suitable for use in professional network installations. It features a male-to-male design, using standard gold-plated RJ-45 connectors on each end. The cable's 550MHz greatly reduces loss when compared to standard 1000MHz cable. It is suitable for use in Gigabit Ethernet networks. 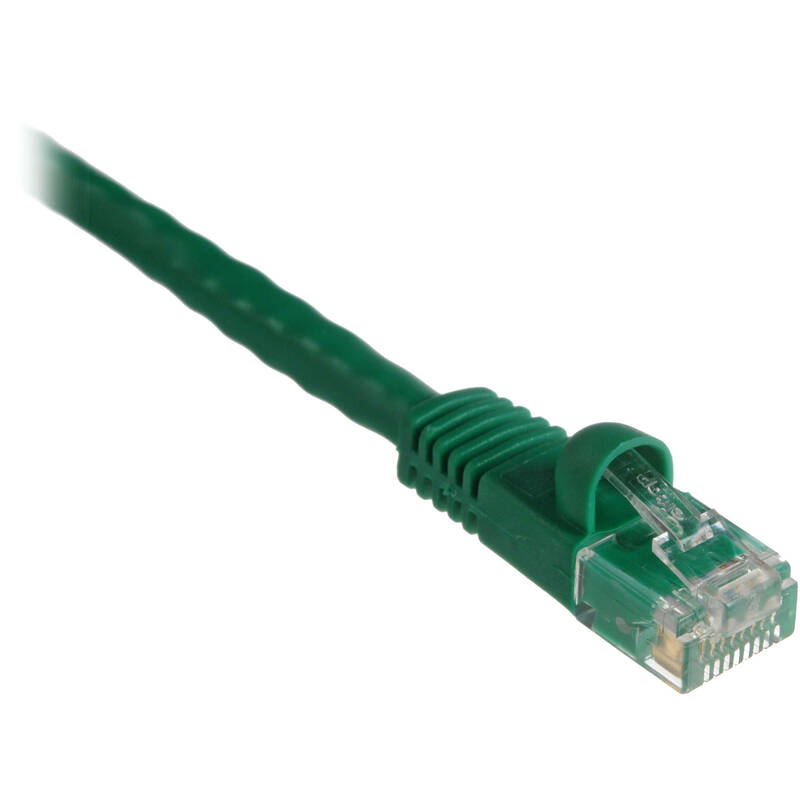 Box Dimensions (LxWxH) 8.6 x 6.0 x 2.0"
50' (15.2 m) Cat6 550MHz Snagless Patch Cable (Green) is rated 5.0 out of 5 by 5. Rated 5 out of 5 by Cole the Guru from Great cable... even better price! It is what it is. Works excellently, is affordable, and isn't one of those irritating bright colors. Blends with the walls for smooth installation. If you need the 50 feet, go for it. But remember the longer the cable becomes, the further the data needs to go. I must also say, I used to only buy from B&H for camera/photo equipment and supplies- BUT they have the best service and prices in the computers and accessories segment as well! Highly recommended for computers and supplies! Rated 5 out of 5 by Raymond O'Brien from Great cable! Great cable at a great price. Mine is connected between a Drobo Pro and my 27' inch iMac via iSCSI. It works great. Rated 5 out of 5 by Anonymous from Great cable at a great price. This is a high quality cable at a low price. Rated 5 out of 5 by Bryon from Good Quality This cable is very well made and appears to be heavy duty. The connectors will not just pull away easy when plugged in. Great value for the cost. I would recommend this to everyone. Rated 5 out of 5 by stephen from great value great value, well made.